I don’t believe it! 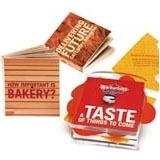 The letters page provided yet another chance to show the Mr Kipling packaging (DW 23 March). Thus, I’m finally compelled to put my two-penneth in. 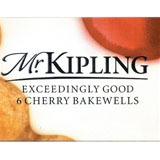 Mr Kipling should bring out a range, using the much-admired Turner Duckworth packaging, branded as Miss Kipling (or should that be Ms?) aimed at a younger market, with the line ‘Exceedingly better than her Old Man’s cakes’. Moreover, as the lettering artist who worked on the Mr Kipling logo, I should get to do the revise.